Midlands State University hosted a grand public lecture on the 27th of July 2017 at its newly established School of Social Work in Harare. Dr Nhlanganiso Nyathi, a celebrated social worker was the guest speaker. The public lecture which ran under the theme, Inter-Professional Collaborations in Child Protection: A Case of Parenting was a momentous event as it also marked the official opening of the Midlands State University School of Social Work. Delivering his lecture, Dr Nyathi emphasized that child abuse and neglect is a reality and bemoaned the negative consequences that it has on children. ‘Child abuse and neglect is a reality and it can have undesirable implications on children. It has scientifically been proven that the way the brain of a child who has been subject to abuse and neglect functions, is very different from that of a child who has not experienced the same. This means that the child who has been exposed to neglect and abuse is likely to be affected damagingly in their thoughts and actions,’ he said. Dr Nyathi who has a keen interest in collaborative research in social work accentuated the need for Interprofessional collaborations, highlighting that collaborative research between Zimbabwe and institutions in the United Kingdom was imperative in the fight against child abuse and neglect. ‘Interprofessional collaboration is a resource that needs tapping into, to give a broader and much more holistic perspective, and effective response to the child’s circumstances,’ he added. Dr Nyathi also underscored the need for the MSU School of Social work to build partnerships with institutions in the United Kingdom and encouraged the School to focus on developing models that apply to and solve the problems faced by Zimbabwean children. ‘This institution must now work towards crafting models that focus on the neglect and abuse of children in Zimbabwe. There is need for home grown evidence based practices and more locally led collaborative research into parenting, child abuse, and neglect problems and solutions. I am waiting for the day Zimbabweans produce a model which is indigenous,’ said Dr Nyathi. 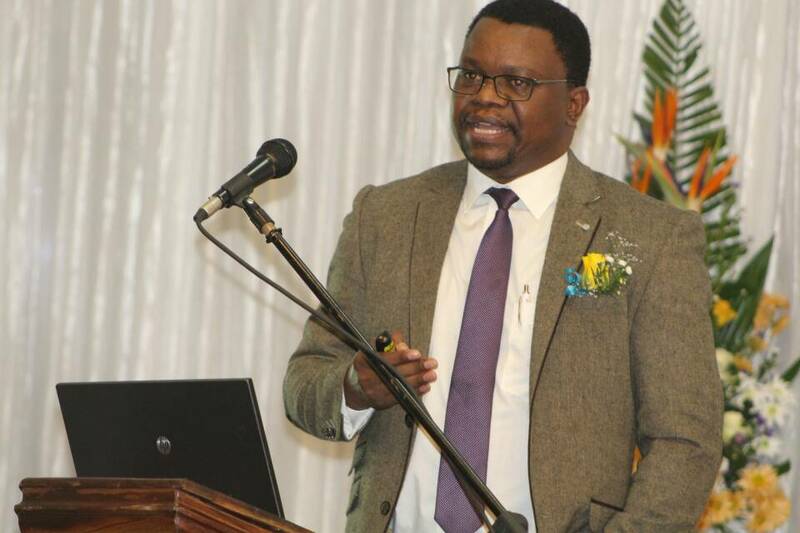 The Acting Vice-Chancellor of the Midlands State University, Professor V. N. Muzvidziwa revealed that the University had crafted a special curriculum that would see the School of Social Work overcome the ‘perceived weakness of social work’, that of having a weak theoretical base. ‘There has also been a comment that Social Work has a weak theoretical base, we believe that the new curriculum has tried to merge theory and practice so that the end product we produce, is a holistic knowledge driven and practical social worker’, said Professor Muzvidziwa. The Acting Vice-Chancellor also took the opportunity to implore stakeholders to be strict and thorough with social work students during their work-related learning. He called on stakeholders not to be lenient with undeserving students, by awarding them marks they had not worked for. ‘I would like to take this opportunity to advise all our stakeholders present here today who employ our students on work related learning not to pity the students. They must be given what they deserve so that we produce well-rounded graduates who are employable in the future,’ he added. In his vote of thanks, the School of Social Work Acting Director, Dr Victor Chikadzi, thanked the guest speaker, Dr Nyathi for delivering an insightful public lecture. The public lecture was attended by members of the civil society, representatives from UNICEF, the National Association of Social Workers in Zimbabwe, the Council of Social Workers, the Zambia Association of Social Workers and various government officials, among them representatives from the Department of Social Welfare. Also in attendance were various members of the University community.